My own discovery was triggered by an essay in a popular magazine in November 1992 pointing out the marvelous coincidence that the moon and the sun are nearly of identical size when viewed from the earth. I had an overpowering feeling that the matter of size had something to do with the structure of the R. gveda. Checking the text in my library, I quickly discovered that the number of hymns encoded facts about the passage of the sun and the moon. The next task was to make sure that the correspondence was not just a coincidence, which required a careful sifting of numerical and textual data. I later found a confirmation of these numbers in the structure of the Atharvaveda and the Bhagavadgita. There are those who argue that human progress can be measured only in terms of scientific progress. To such people the question of the science of the R. gveda is of much importance, for it is the oldest complete book that has come down to mankind. If you have played the party game called “Pass the Secret”, you will know that by the time the message reaches back to you, it would have been distorted beyond recognition. But for many millennia, the Vedic hymns were memorized and handed down by word of mouth and the contents were preserved intact. The actual wording, intonation and pronounciation had to be perfect and for this the Vedic seers created a system to prevent alteration. 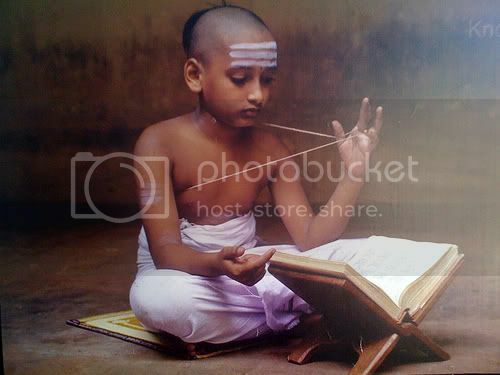 To ensure that the Vedas remained unchanged in content, intonation, and inflection, a number of techniques of recitation with increasing complexity and difficulty were developed, including Jatapata. According to Danino’s book, the Rig Vedic people lived during the Harappan period, but that does not mean that all Harappans were Vedic people. This is what I wrote in my review in the Aug 2010 issue of Pragati.